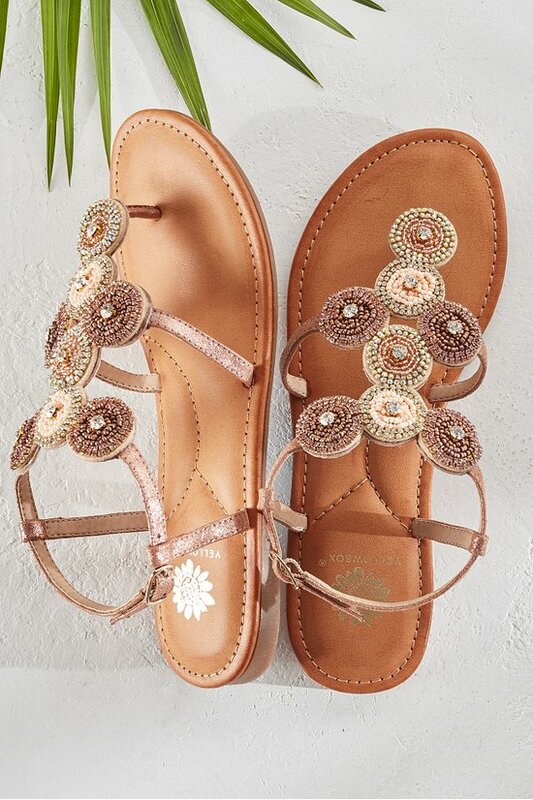 Like radiant stars, hand-sewn discs of shimmering seed beads and rhinestones glisten on these foot-flattering gladiator sandals, fashioned of slender, faux leather straps with buckle slingback. Perfect for flaunting a pretty pedi. 1/4" heel.